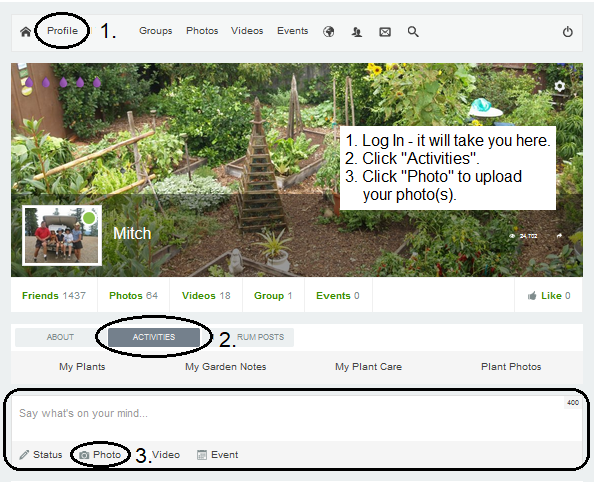 This is your own area to share your photos, brag about your garden, ask for help, put some fun photos up for everyone to see or TAG your plant photos ! It's also a good way to show work you've done as a professional or give a little tour of your nursery (or gardening related business). 1. Log In - you will be taken directly to your PROFILE page. 2. Upload your gardening related photos! Start a gallery and upload a photo to that gallery. Post a photo in your User Stream on the Community Pages here https://themulch.com/mulch-community. Post a photo in your User Stream on your PROFILE page here https://themulch.com/mulch-community/profile. That's it, it's that simple! 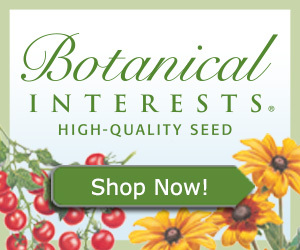 Then your cool gardening photos can be seen all over the place! 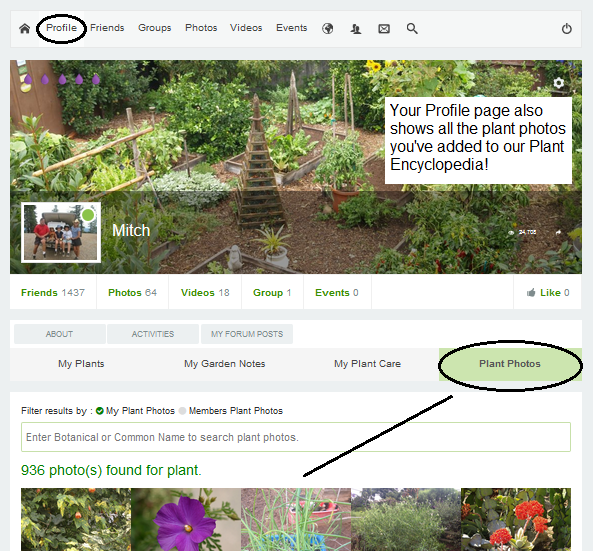 RELATED ARTICLE: Adding your named plant photos to our Plant Encyclopedia. 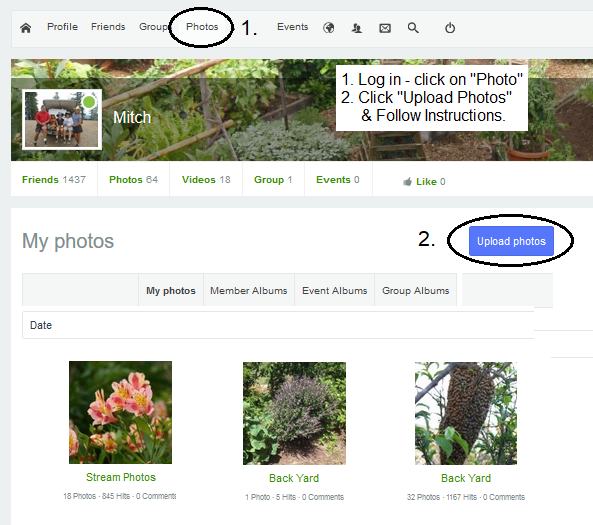 Once you've uploaded your photos you can edit, publish, use them as your Avatar, leave descriptions and even comment on your photos or other peoples photos. Once you're done they all appear in your "My Galleries" section. Below you can see a few of my galleries. 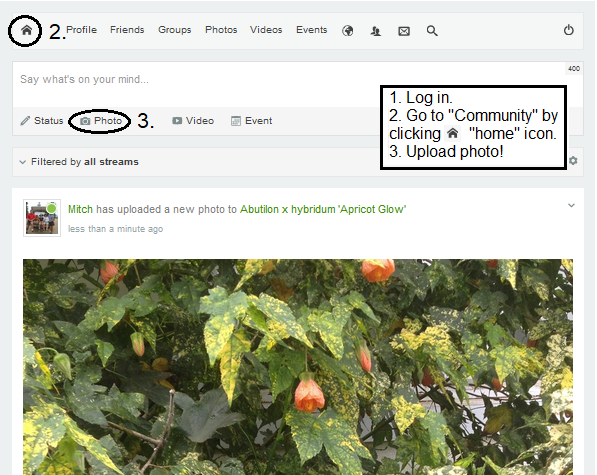 Your photos will be shown in a bunch of places including your gallery, in the community feeds and in little places throughout the website. We really love it when you add photos to your gallery, the more the better. Please let us know if you have any questions, we'd love to help you! 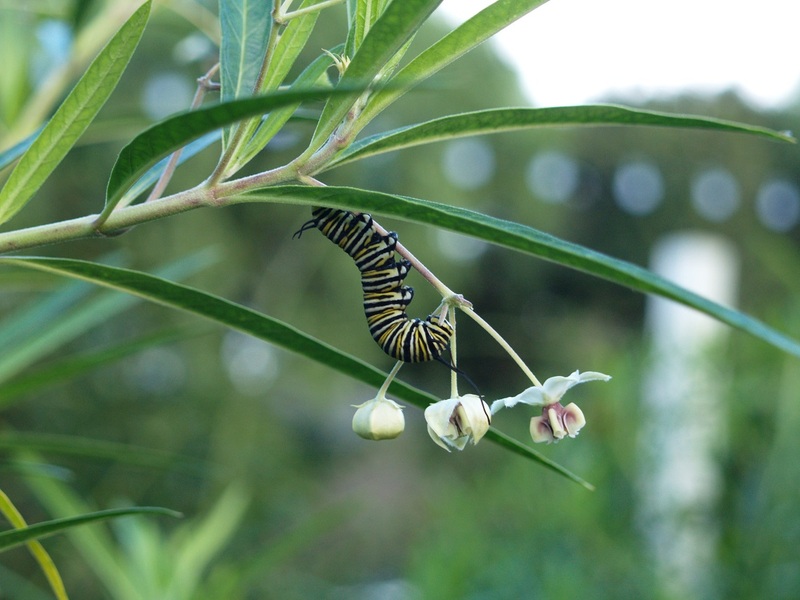 RELATED ARTICLE: Adding your plant photos to our Plant Encyclopedia. Feel free to contact us if you have any questions or problems. My Profile: Edit, Answer Questions, Change Avatar, Change Password etc.